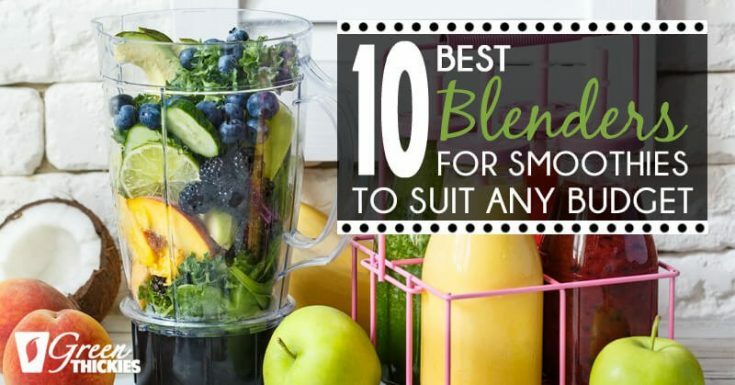 Here are the 7 best personal blenders that enable you to whizz up your own smoothie or shake and drink it in the same blender cup straight away. When I’m in a hurry to make a quick smoothie or shake for one person, I love using a personal blender. It is quicker, easier to clean and easier to blend a small smoothie serving using a personal blender. Being a fan of a healthy diet comes with a price: a complicated meal preparation that will ensure you get the best nutrients from your foods. As a result, you need to put time and decision-making into consideration when preparing meals. In my case, I have decided to make things easier by choosing to make smoothies over cooked meals whenever I find myself pressed for time or simply bitten by the “lazy bug”. Between running a business, looking after two young kids and providing healthy meals made from scratch for the whole family, saving time where I can is essential in my life so I keep my sanity. Before I embarked on a diet that mostly included smoothie recipes, my initial thinking was, any old blender will do the job. I began blending glass after glass of smoothie but encountered several problems. These problems included leftover pulp, hard-to-clean pitchers, problematic assembly and blown up motors. Sometimes, you wish things were as easy as those you saw on home TV shopping. After all, blenders are supposed to make things easier and not create more problems for you. I’ve put these blenders to the test to help save you the problems I experienced and to help you choose the right blender for you. So here in this article, I’m going to show you the best personal blenders I recommend so far, so all you have to do is blend away and stay on top of your health goals. These are seven of the best blenders for personal use that I recommend you use for making your smoothies. 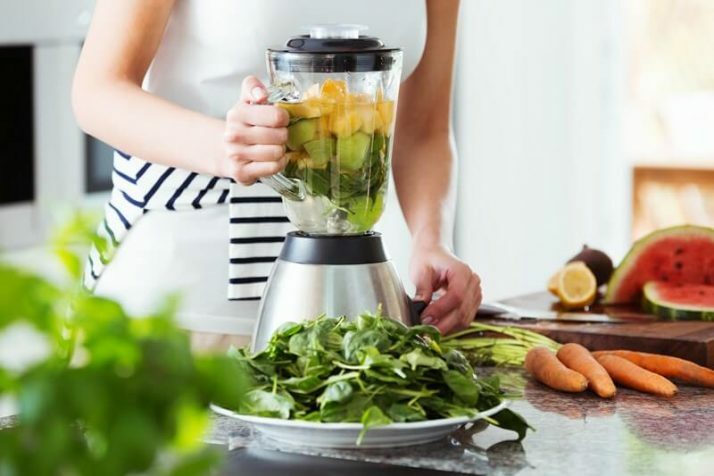 Investing in a high-quality personal blender is a good idea since you can cut the prep time by half and still be able to extract as many nutrients as possible. It also saves you time washing up as you can drink straight from the blender cup that you used for blending. Space saving is another big advantage of using a personal blender and the ability to travel with it. You can also lend it to other people without fear of them breaking it, because the price points are usually a low lower than larger blenders. So, without further ado, these are the blenders that have made it to my list for personal, single-serve use. Looks can be deceiving, so don’t be fooled into thinking that this sleek blender can’t do what most high-powered yet bulky blenders have been designed to do. Although it has a single-serve capacity, Hamilton Beach’s personal blender is equipped with an efficient 175-watts motor that helps mush your ingredients with speed and gives the smoothies just the right consistency. And it gets the job done with a single press of the pulse button—no more fussing over controls that take a lot of your time guessing on. But what I like most about this blender is that it also doubles as a travel mug. You can forget about pouring your smoothie into a tumbler straight from the blender. All you have to do is detach the jar from the motor base, put on the lid and take it with you wherever you go. It also fits most car drink holders, so you can have a healthy drink while you drive. This blender is a total space-saver, too, as it can be stored away easily and takes just a little spot on the countertop. 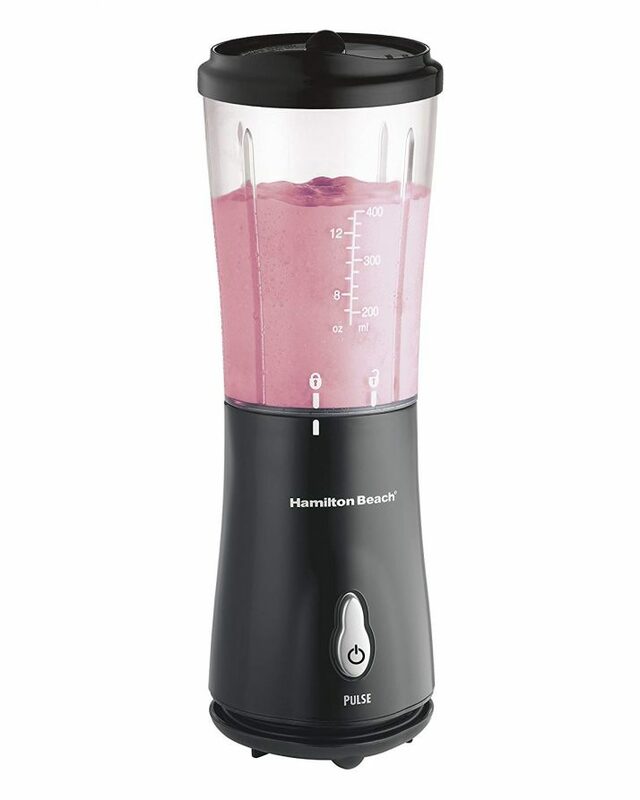 As for cleaning, this Hamilton Beach blender is relatively low-maintenance and dishwasher-safe. Definitely no fuss from preparation down to storage. This blender made it to my list mainly for its innovative design. If your smoothie or shake recipes have varying textures, then Nutri Ninja is a good choice for a blender. It features an Auto-IQ functionality that allows the blender to intuitively decide which the program for a particular recipe. 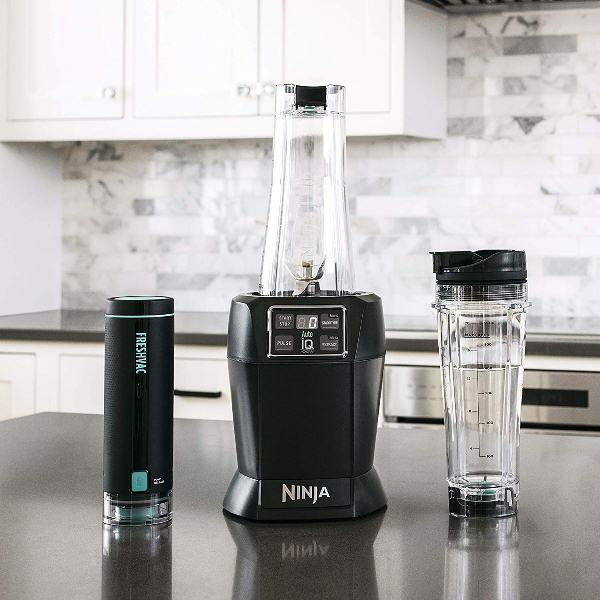 If you want to fully do away with the pause-stir sequence, the Nutri Ninja blender will handle it for you. There are 4 programs from which to choose the pattern of blending based on your consistency preferences. How is it able to produce smooth texture? 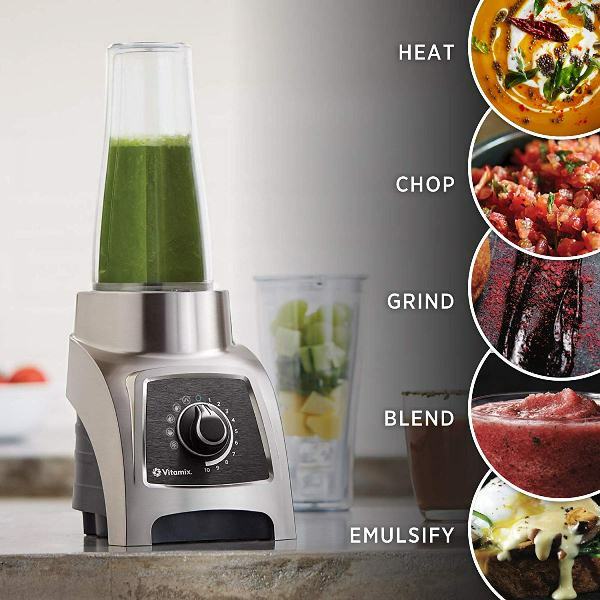 It has Pro Extractor Blades which helps extract all the nutrients in fruits, nuts and vegetables that you add into blender by powerfully grinding them together. And by extraction, I mean even the fibers are fully blended into the mixture—a good way to absorb the benefits of each fruit and veggie that your diet requires. Also, before I forget, it also comes with Ninja cups in a sturdy, ready-to-go design. Just put on the lid and drink through the spout. In terms of flexibility, Vitamix has the best to offer. The Vitamix S55 S-Series Blender has not only one, but two interchangeable containers that you can use for single-serve and twice the serving amount, respectively. But while the smaller of the two can be turned into a travel mug with lid, the bigger one that is meant for making soups and family meals is compact enough to be fitted into your overhead cabinet or just sit on the countertop. That’s a good deal, especially since you get to have two blenders in one purchase. 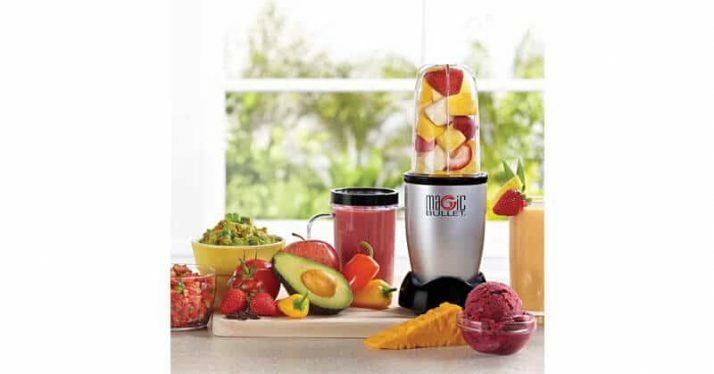 As for its blending performance, it helps that it has a Variable Speed Control that allows you to achieve the desired texture of your smoothie. And the good thing is for those who already own a standard Vitamix and don’t want to fork out for another personal Vitamix blender you can now buy an attachment that allows you to blend up a small container on top of your standard Vitamix base. This is perfect because it is difficult to blend small amounts of liquid in a larger Vitamix jug. Have a look at the new Vitamix Personal Cup and Adapter and see how it works. The best thing about this is you already know how powerful the Vitamix is when it comes to blending. So this personal blender is no exception and I find it a perfect solution for Vitamix owners. Fancy a cool blender which also doubles as a travel mug whenever away? While this personal blender from Oster makes me squeal with delight for its hipster look, it does deliver expected results for smoothies. 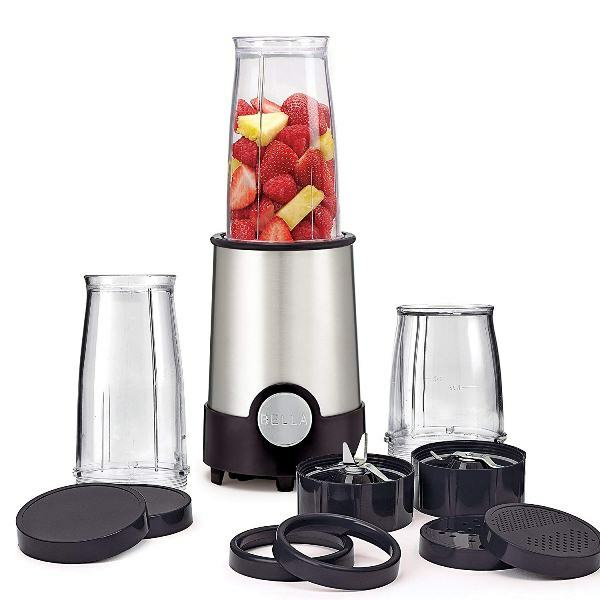 Its sleek design allows you to have a single serving of smoothie or shake so you don’t need to bother with bulky motor base and blending pitchers. All you have to do is twist the container against the base to blend. It’s incredibly fuss-free and user-friendly. The lid also comes with a clever design that allows you to carry it by its hook. Hands down, this Magic Bullet Blender is the cutest single-serve blender that I’ve seen so far. And why shouldn’t I be delighted by it? It is actually shaped like a bullet. But don’t be deceived by its size. Because it can chop, grind, mush and liquefy food which makes it perfect for your daily smoothie fix. It’s just a bonus that you can take the whole assembly in a handy bag so you can blend smoothies wherever you are. This personal blender comes with two types of blades: the cross blade and the flat grinding blade. For smoothies, you only need to attach the cross blade since it is designed basically for blending and pureeing. You just have to press the container down to its base after locking to start blending your ingredients. It is compact and portable that you’ll never even miss a single smoothie break. You can take your drink with you in a sealed cup, too. If you’re constantly on the go, surely you wouldn’t want to miss your smoothie fix. And what better way to stay healthy even outdoors than with a blender that doubles as a hip, pick-me-up tumbler? Not only can you bring the tumbler, but even the motor base itself! Now you don’t have to make excuses for not drinking your smoothies. 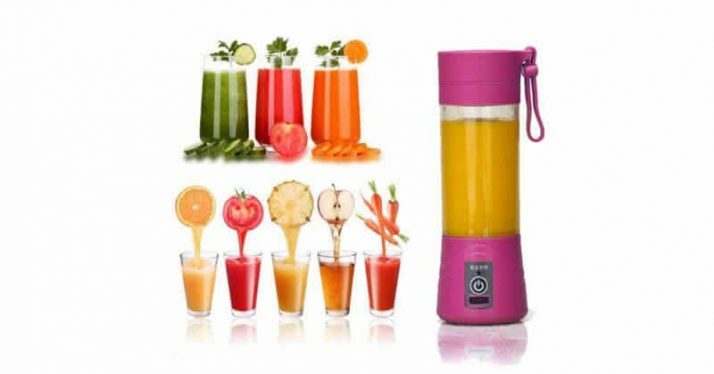 This personal blender is a portable blender as well. All you have to do is plug it in a USB port for recharging so you can still use the motor base even without electricity. The fun part is that it only takes a push of a single button to start blending away. 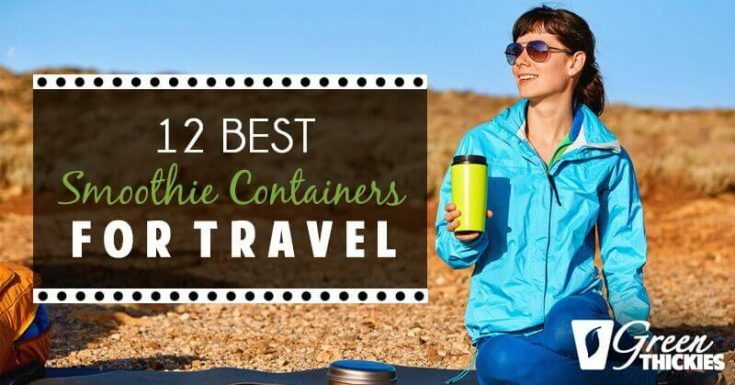 This review of the 12 Best Smoothie cups for travel will help you find the perfect container for storing your smoothie, and for taking it out of the house. 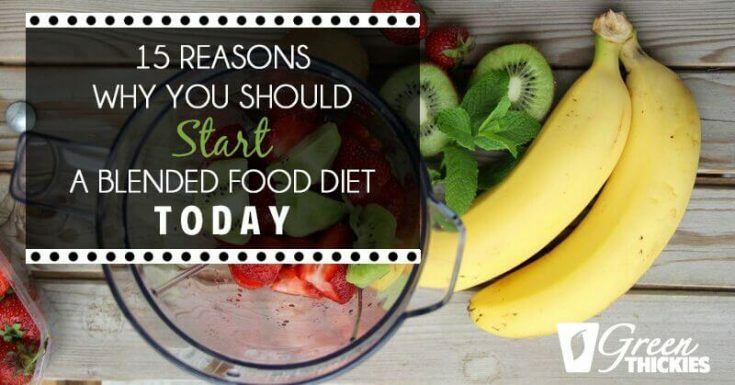 Here are 15 surprising reasons why I blend up my food into green smoothies and eat a mainly blended food diet. If this doesn't convince you, nothing will! There are so many personal blenders in the market these days, which makes it difficult to find the right one for you. Hopefully, this guide has given you an idea on which blender suits your preferences. Remember, the purpose of a personal blender is to make it easy for you to stay consistent with your diet by allowing you to blend foods anywhere with ease. I never go travelling without my personal blender. What about you? But also, don’t forget that blending must still be fun! If, after reading this you’re wondering whether a personal blender is actually what you need, or perhaps you need a bigger blender? Let me help you decide. Read my other article, 10 Best Blenders For Smoothies to help you choose the best blender for your needs and budget. 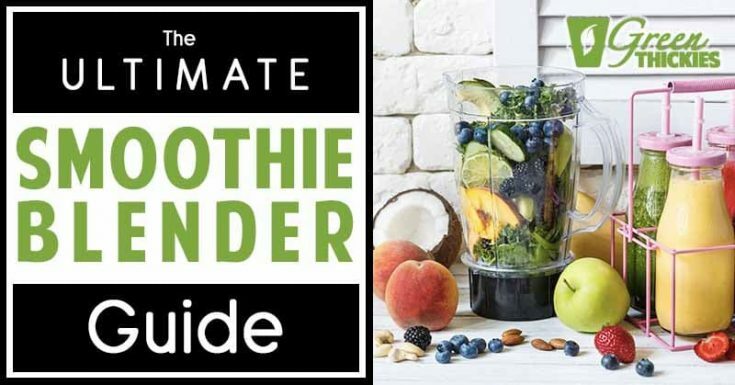 And if you’re looking for more help with blenders, tutorials, tips and over 50 blender recipes, check out my ultimate guide to smoothie blenders by clicking here. 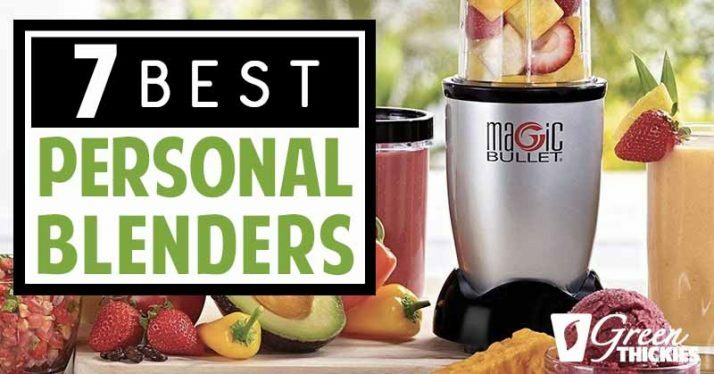 If you enjoyed this article, 7 Best Personal Blenders please let me know your thoughts in the comments.